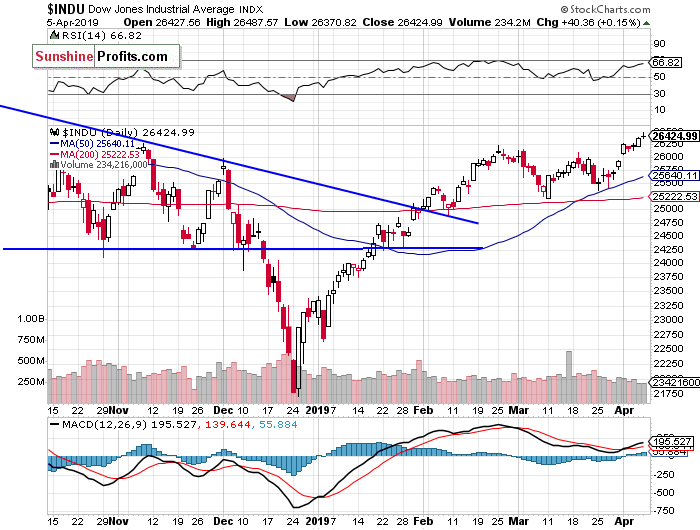 Stocks extended their short-term uptrend on Friday, as investors’ sentiment remained bullish following the monthly jobs data release. The S&P 500 index got closer to its last year’s September record high. 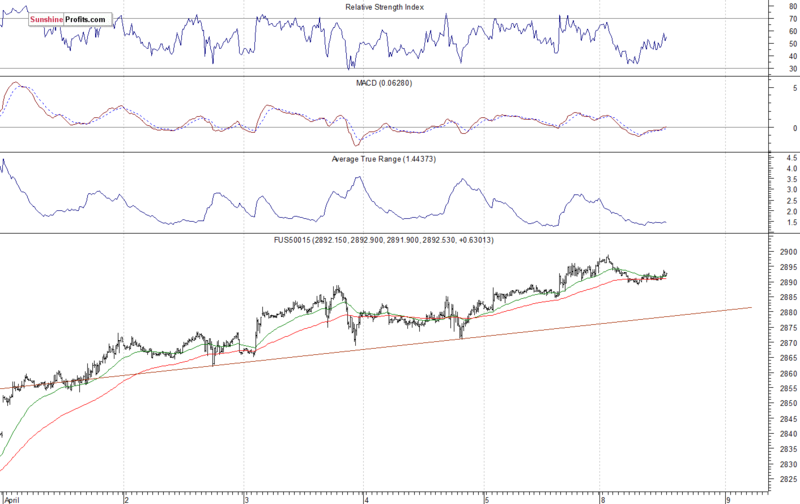 But will the uptrend continue despite some technical overbought conditions? 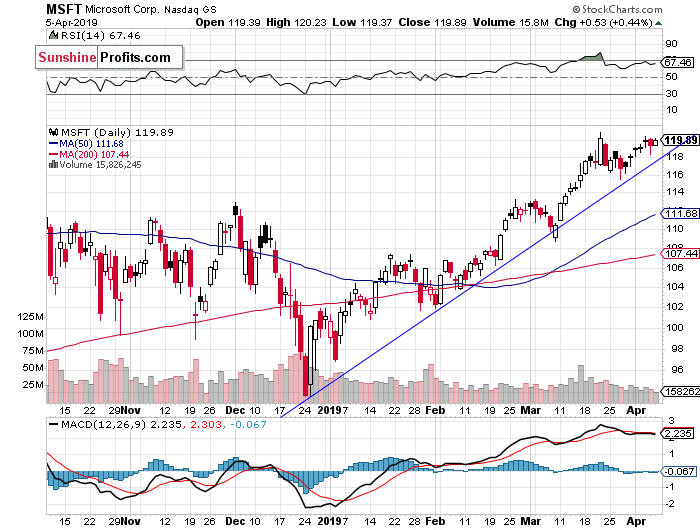 The U.S. stock market indexesgained 0.2-0.6% on Friday, extending their uptrend, as investors sentiment remained bullish. The S&P 500 index retraced more of its October-December downward correction of 20.2%. The broad stock market’s gauge is nowjust 1.6% below September the 21st record high of 2,940.91. The Dow Jones Industrial Averagegained 0.2% and the Nasdaq Composite gained 0.6% on Friday. Expectations before the opening of today’s trading session are slightly negative, because the index futures contracts trade 0.1-0.2% below their Friday’s closing prices. 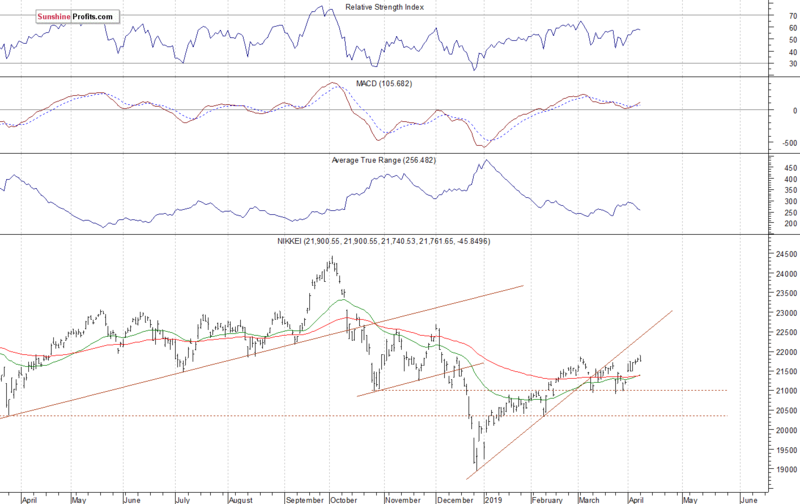 The European stock market indexes have been mixed so far. Investors will wait for the Factory Orders number release at 10:00 a.m. 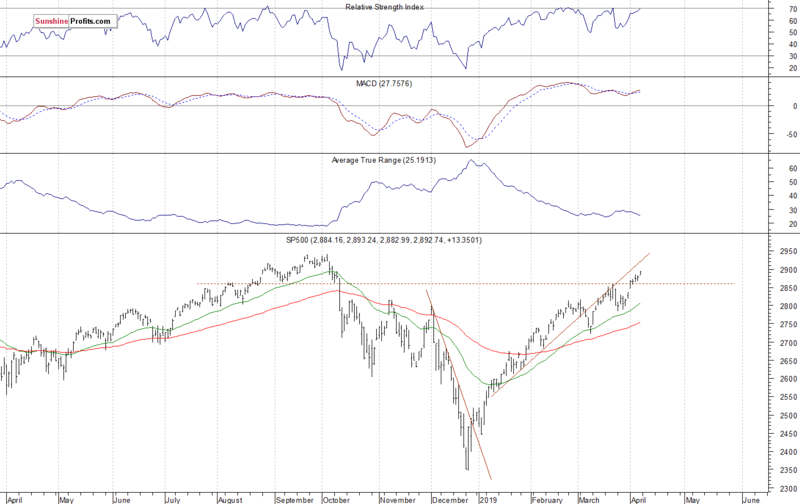 The broad stock market will likely fluctuate following the recent rally. 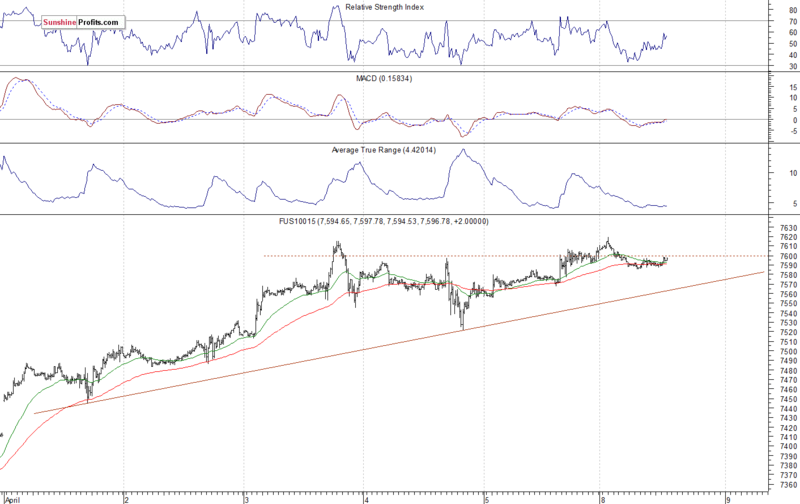 We may see aprofit-taking action at some point.However, there have been no confirmed negative signals so far. Concluding, the S&P 500 index will likely open slightly lower today. 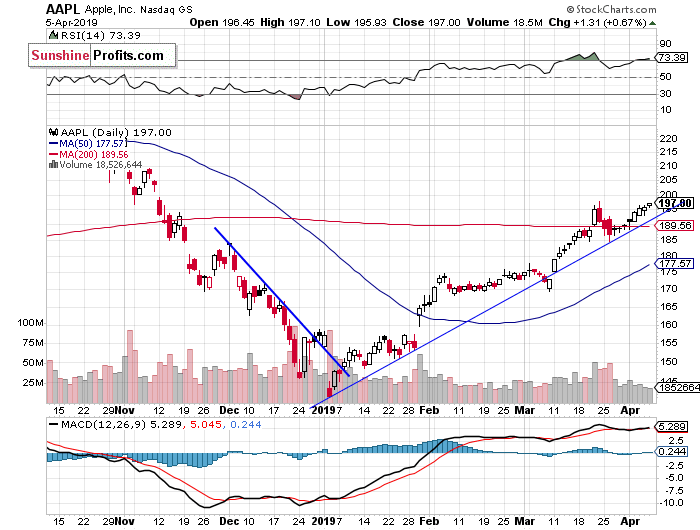 We may see some profit-taking action following the recent rally.However, there have been no confirmed negative signals so far.